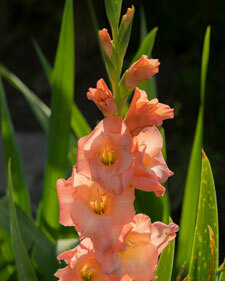 Gladiolus is a summer blooming corm and best planted in early spring. 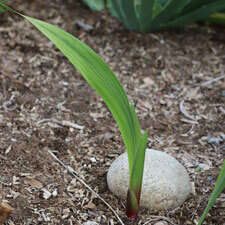 In my zone (9b), corms are typically planted starting in February. Though the corms start to sprout in my yard in December/January. In colder zones, wait until your soil is workable in early spring. 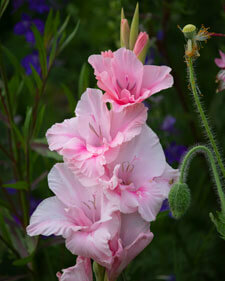 Your gladiolus will bloom in about 60 days or so after planting. 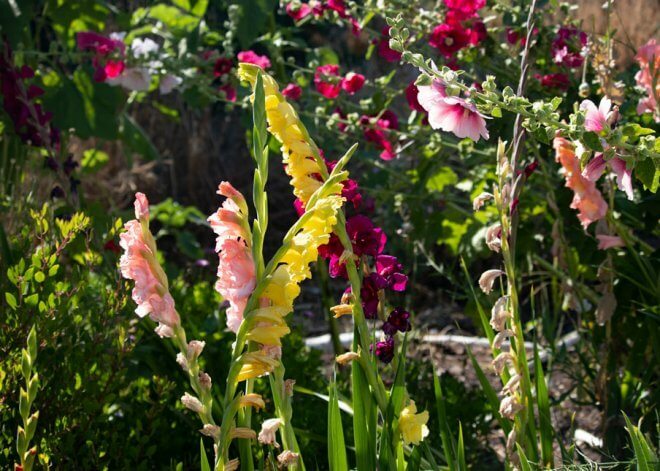 Gladiolus loves the full sun and does best in well draining soil. They grow between 2-5 feet, so they are best placed at the back of the bed. Since they tend to fall over, it helps to provide supports for the stalks. This is especially important in windy areas. 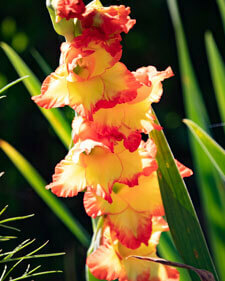 Gladiolus is a beautiful cutting flower that comes in so many gorgeous colors. I recently planted lavender and purple glads and can’t wait to see them blooming this summer. 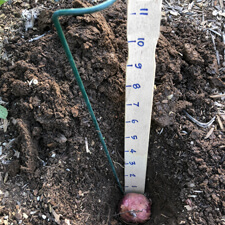 Dig about 4″ deep for each corm and about 6-8″ apart. You can dig a trench or individual holes. Mix in the fertilizer or compost with the soil. Be sure that fertilizer is well mixed into soil so it doesn’t burn the corm. 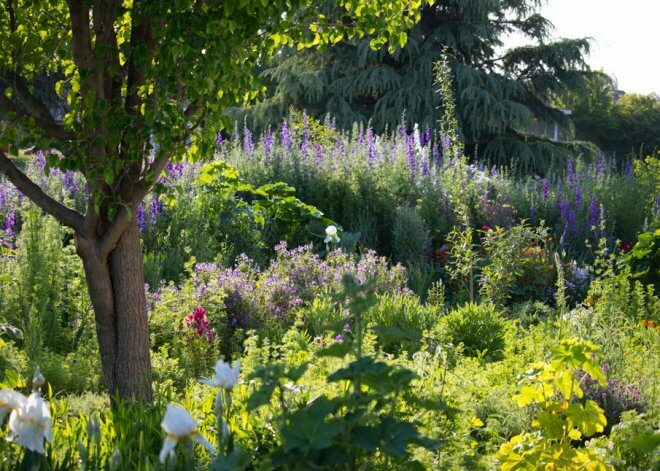 Consider if you want to stagger the planting (like every couple weeks) to extend blooming through the summer. Optional: Add the support along with the corm. This is important so that you don’t later stab the corm with the support. Cover the corm with soil and water well. Keep moist and watered, but do not let them stand in water. If you’re in a really hot area, you may want to mulch them. Mulch can also help to block weeds. Mark the location of the bulbs. I put down branches around each bulb area so that I avoid digging in that area what planting around the bulbs. 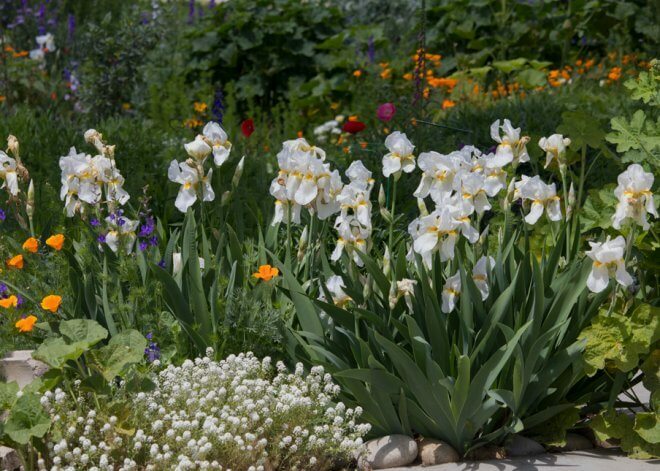 It also helps to find bulbs that need to be dug up at the end of the season. See photo of branches below. Select plump and firm corms. Place support along with corm. Branches placed to mark edges of bulb area. Be sure not to remove foliage until it dies back. The corm needs the foliage to store energy for the next season. You can cut back the foliage as soon as it starts to yellow. Go ahead and deadhead for a tidy garden, but gladiolus will not provide more blooms as a result. Be sure to clean your tools between trimming various plants to minimize spreading diseases. Use sharp, sterilized shears or knife. I bring a bucket or vase with lukewarm water out to the bed to immediately immerse the stalks. 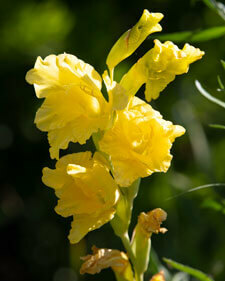 When possible, cut gladiolus and all flowers in the morning when they are the most hydrated. 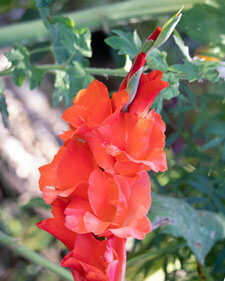 Ideally, cut stalks with only one or two open flowers. The rest will open up in the vase. Leave the rest of the foliage in place. As the flowers fade, you can remove them from the stalk. 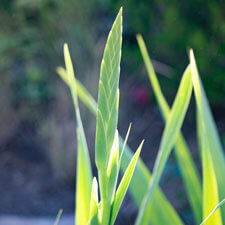 Like with many cut flowers, you can also trim bottom of the stalk every couple days to keep it absorbing water. Be sure to give yourself adequate room before inserting pitchfork or spade so that you don’t slice into the corms. If the stalk is still attached, trim to about a half inch of corm. Lightly clean off excess soil from the corms and allow to cure in a warm area for a couple days before storing. Do not remove the husk from the corms. If a bottom corm is attached, discard. You can discard cormlets, but I cannot resist them. It’ll take 2-3 years of growth before you’ll get blooms from the cormlets. See photo above of cormlets. 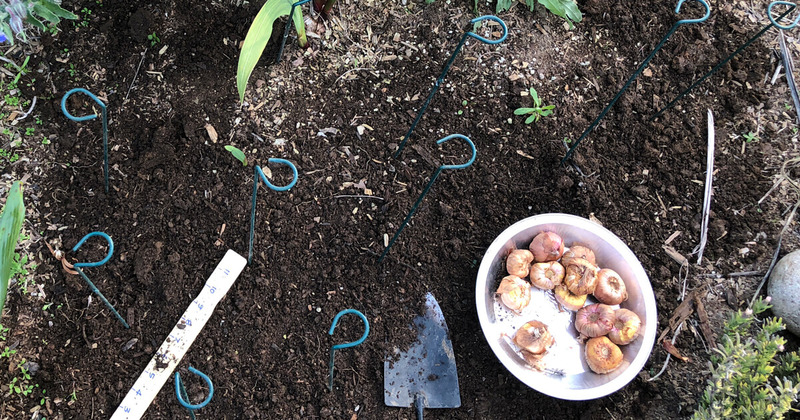 Zones 6 and cooler: Dig up corms before first frost and store until spring. Store in a dry, dark and cool location (between 35-50F is ideal). Be sure to protect the bulbs from rodents. Consider if you want to dust the corms with a fungicide. Store in a mesh bag (I save the mesh bags from my bulb orders for this). 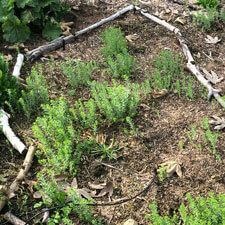 Zones 7-8: Place a layer of mulch (straw, hay or other garden material) over the bed to insulate them. Zones 9 and warmer: No need to lift the corms. As mentioned above, you can fertilize with a granular fertilizer (5-10-10 or 5-10-5) or compost when planting. However, it depends on where I plant whether or not I use a fertilizer. If the bed is already rich from sheet mulching, I’ve found that it’s not necessary to add additional fertilizer. 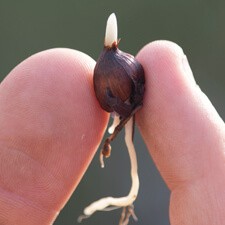 When corms have sprouted and about 10″ tall, add an water-soluble, organic fertilizer. Then give another shot when flowers begin to bloom. If the corms will be left in soil over the winter, place a layer of compost over the corms in the fall. 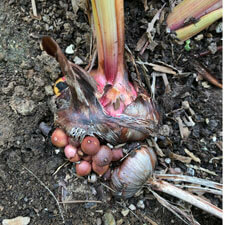 Inspect the corms and discard any that are damaged, soft or crumbly. This is the best way to prevent disease. 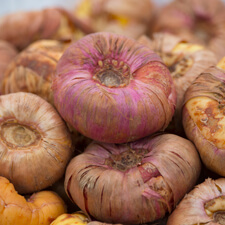 If you see any plants with gnarly, stunted growth, be sure to remove the plant/corm and throw away to prevent virus transmission to other plants. Thrips: While feeding on the plant, they cause discoloration and streaking on the blossoms. Since they can survive on stored corms, you can dip the corms into boiling water to kill them before storing. Let completely dry before storage. If you notice thrip damage in the garden, you can spray plants with insecticidal soap or Neem oil. 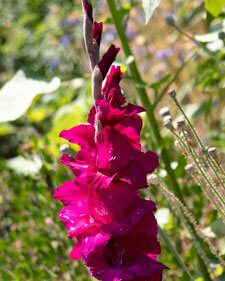 Gladiolus is one of the flowers for August birthdays. It’s also referred to as the Sword Lily.